NASHVILLE, Tenn. — Few on the outside bought what the Yankees had been selling for much of the offseason: that if some kind of deal didn’t come together, they would be comfortable entering spring training with the second base platoon of Rob Refsnyder and Dustin Ackley. “Not for one second I buy that,” a rival executive said at last month’s general managers’ meetings in Boca Raton, Florida. 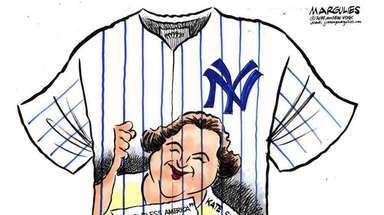 On Day 2 of the winter meetings, the Yankees proved those skeptics correct. 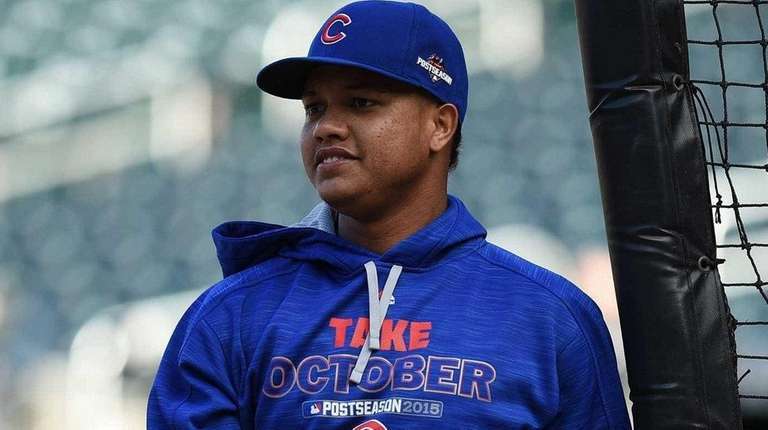 They announced Tuesday night they had obtained Cubs infielder Starlin Castro for pitcher Adam Warren and a player to be named. Castro, who is owed $38 million over the remaining four years on his contract, is appealing because of his age (25) and versatility. The righthanded hitter had been a shortstop much of his career before transitioning last season to second base, where he played 38 games. “Clearly an upgrade,” a National League talent evaluator said of Castro taking the place of an Ackley/Refsnyder platoon. Castro posted a .265/.296/.375 slash line with 11 homers and 69 RBIs in 151 games last season. The Yankees expressed an interest in Castro earlier in the offseason, and he became expendable when the Cubs signed Ben Zobrist, a top Mets target, late Tuesday afternoon. Talks between Yankees general manager Brian Cashman and Cubs president Theo Epstein began well before these meetings, with one insider saying the old friends were “burning up the lines” in recent weeks discussing a variety of possible deals. The two know each other well from Epstein’s time as Red Sox GM, but deals between the Yankees and Red Sox, for obvious reasons, are a rarity. Notes: Signed by the Chicago Cubs as an amateur free agent in 2006; MLB debut on May 7, 2010; Three-time All Star.